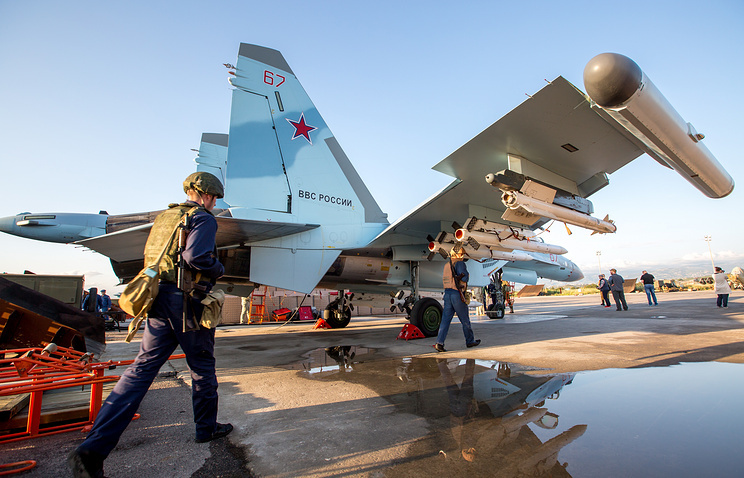 The Russian Aerospace Forces participated in a pro-government offensive in Syria’s southwest. 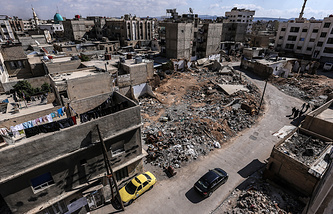 This action was the first since the agreement between the United States and Jordan a year ago to create a de-escalation zone in the area, Kommersant wrote referring to the report by the Syrian Observatory for Human Rights, based in London. Washington has repeatedly warned Moscow and Damascus that violating the accord on the southwestern de-escalation zone can lead to serious consequences. However, at the end of last week, the Syrian armed opposition in the country’s south told the media about a message from Washington, in which it said that it was not worth waiting for help from the US, the newspaper wrote. According to the newspaper, the Russian Aerospace Forces carried out more than 20 sorties, striking at targets in the Daraa province. A source in the military command told Kommersant that Russian aviation there periodically covers certain Syrian special forces during their operations, informing their partners about it in advance. "Now, the Tiger Forces are pushing radical Islamists out of Busra al-Harir, Nahta and Busra al-Sham," the source told Kommersant. This is not the first time that Russian troops have taken part in hostilities in the de-escalation zones, Kommersant wrote. However, the southwestern de-escalation zone is a special case, given that it was announced following the meeting of Russian and US Presidents Vladimir Putin and Donald Trump on July 7, 2017, with Jordan joining the agreement. At the end of May, when the Syrian army began transporting military equipment to the south, Washington warned that decisive measures would be taken against Moscow and Damascus in response to the deal’s violation. Several sources told Kommersant they doubted the statement’s authenticity. That being said, the US has not provided any official comments. President of the Jordan-based Political Studies of the Middle East Center Shehab Al-Makahleh told Kommersant that Washington is waiting for the final results of the Turkish election and the talks between Trump and Jordan’s King Abdullah II, and only after analyzing these events, will they plan to take specific steps. The expert said he did not rule out another chemical weapons provocation and a new attack by the US-led coalition on Syria. According to Director of Al-Quds Center for Political Studies Oraib Al Rantawi, even if the statement were authentic, it would not present anything new. He told Kommersant that the US had not been particularly active before, and it is unlikely that they will take any steps before the likely Putin-Trump summit in mid-July. Under pressure from Washington, Copenhagen is deliberately delaying the issuance of a construction permit for the Nord Stream 2 project, two sources in Russian diplomatic circles told Izvestia. Denmark made special amendments to the legislation, which empower it to reject applications for the construction of pipelines in Danish territorial waters for reasons of foreign policy, national security, and the security of the EU and NATO. Denmark remains the last of five countries that did not issue a permit. However, the Nord Stream 2 operator still expects to receive it within the next few months, Nord Stream 2 AG Spokesperson Jens Muller told the newspaper. "Denmark's main fears are perhaps not to disappoint its key ally, Washington, which twists its partners’ arms to force Russian gas out of the European market and fill it with their LNG," a source told Izvestia. "At the same time, Copenhagen fears spoiling relations with Berlin, which supports the construction of Nord Stream 2 as a commercial project. Denmark is caught between a rock and a hard place," the source added. The Danish Ministry of Climate, Energy and Building told Izvestia that the application is being reviewed and analyzed under Danish law and that it is necessary to weigh the implications this has for the environment and security, as well as ensuring the project’s conformity with state interests in foreign policy and defense. 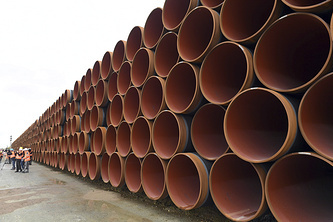 Nord Stream 2 AG Spokesperson Jens Muller told the newspaper that the project still expects to receive an answer within the next several months. Four out of five countries have already given their permission to proceed, which covers 80% of the pipeline route. The Danish application was filed over a year ago, he added, noting that the route through Denmark is optimal in all respects. A source in diplomatic circles told Izvestia that even if the Russian application is rejected, the construction of the Nord Stream 2 project would not be stopped. In this case, the pipeline route would be re-routed to the north of the Danish island of Bornholm, without affecting the territorial waters of Denmark. OPEC members and states outside the cartel decided to step up oil production by around 1 mln barrels per day to replace Venezuela’s declining output and the future decline in Iranian production. Specific quotas for countries have not yet been approved, but only around 10 participating countries can promptly increase production. According to RBC, despite the activity of US shale producers, the new parameters of the deal should not significantly affect the stability of the Russian ruble. The decision to increase production by 1 mln barrels per day is an attempt to return to the original arrangements, RBC wrote. According to OPEC, if production does not grow, in September countries may further weaken quotas for the deal’s participants. If the market has "too much oil," the parties to the agreement, on the contrary, may reduce output. The additional 1 mln tonnes will be distributed unevenly across countries, but mostly among those who can actually increase production. For a year and a half, the OPEC+ participants were able to balance the market and stabilize oil prices, that is, the goals of the agreement were achieved, according to Vygon Consulting analysts. At the same time, in March-April 2018, OPEC countries produced less than the target level of 1 mln barrels per day, according to analysts due to production declines in Venezuela following US sanctions, and in Iran after Washington pulled out of the nuclear deal. Thus, in 2018, oil production in Venezuela and Iran will continue to decline. Yet, on the contrary, the US saw a rise in production with a surge of 1.7 mln barrels per day year-on-year in Q1 2018. The continuing loss of market share by the participants of the Vienna deal could only lead to the talks about the need to adjust the OPEC+ agreement, Director of Moscow Oil and Gas Center Denis Borisov told RBC. If the US continues to increase production at a record pace, and oil exporters - both part of OPEC, and not - also begin increasing output, oil prices may go down, Raiffeisenbank analyst Andrei Polishchuk told the newspaper. However, OPEC members are ready for this, they are satisfied with oil prices of $60-70 per barrel, he added. At the same time, if the oil price remains within the range of $60 per barrel, the ruble exchange rate would not be significantly affected, the analyst said. 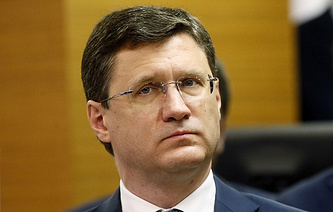 Chief economist at BCS Financial Group Vladimir Tikhomirov agrees, given the anticipated high oil prices, the impact from amending the deal would be insignificant. The resolution of the UN General Assembly on the immediate withdrawal of Russian troops from Transnistria is not a victory of Moldovan diplomacy, but a consequence of US policy, German political scientist Alexander Rahr told Nezavisimaya Gazeta. He noted that the EU is busy with its problems because of its migrant crisis and is no longer interested in Moldavia. Europe has practically ceded this country to the Americans, whose goal is to push Russia out of the region. According to Rahr, this could lead to curtailing the peacekeeping mission in the region, though Transnistria opposes this. According to the expert, Washington seeks to elbow Moscow out of the post-Soviet space. However, there are people in Transnistria who have their own view on the Russian presence in the region, and the United States will have to take this into account, he added. Rahr added that pressure from the West on Russia will be felt not only in Transnistria, the Americans have already tackled the Moldovan elections. Their goal is to bolster the republic’s pro-Western sentiment, the expert added. Director of the Institute for Socio-Political Studies and Regional Development Igor Shornikov agrees. "On the eve of the parliamentary elections, the authorities proved to be extremely vulnerable to pressure from the West," Shornikov told Nezavisimaya Gazeta. Transnistria’s ex-Foreign Minister Vladimir Yastrebchak told the newspaper "in theory, Chisinau has the right to demand the withdrawal of Russian troops." However, for this to become a reality, a signature from the 1992 agreement on Russian peacekeepers must be recalled. Yastrebchak also believes that the resolution on Transnistria is connected with the forthcoming parliamentary elections, in which the authorities in Chisinau do not want to see a victory by parties favoring better relations with Russia. Western sanctions have dramatically changed the development strategy of the United Aircraft Corporation (UAC). The corporation plans to continue increasing output of not very profitable military equipment, leaving its plans for civil aircraft manufacturing very modest, Kommersant wrote. In the next three years, it plans to pour two-thirds of its 403 bln rubles ($6.4 bln) investment into the military and special operations segment. Experts consider this vision realistic, calling the growth of the UAC’s share of civilian products "an increasingly distant perspective." According to the newspaper, in the next three years, 75% of the total investment volume will be used for projects of "military, military transport and special aviation." The military segment, includes a promising supersonic bomber based on the Tu-160, PAK FA, Su-35 and PAK DA. Meanwhile, military transport aviation includes priority projects - Project 476 and Il-112. 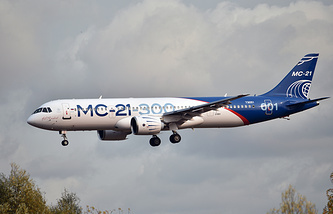 The remaining 25% will be used for civilian aviation programs, 14% - for developing the MC-21, 1.9% - for modernizing the IL-114, 1.8% - for manufacturing Russian-Chinese widebody aircraft, and 3.3% to the Sukhoi Superjet. The corporation expects limited market share of the civil aircraft segment - it was 1.8% in 2017 (32 aircraft), by 2025 the figure is expected to reach 4.5%. However, civil aircraft still accounts for 40% of the corporation’s revenue. According to the UAC, it is possible due to the MC-21 entering the market, among other factors. Aviation Explorer expert Vladimir Karnozov told Kommersant that due to US sanctions against the Russian defense industry, UAC plans will have to be corrected, and increasing the share of civilian products in the corporation’s portfolio is becoming "an increasingly distant prospect." Although there is no direct ban on cooperation with Western companies on civilian projects, the corporation is included in the sanctions list, and growing confrontation leads to the growth of military production, Karnozov said. According to the expert, the introduction of the MC-21 to the market is behind schedule, at the same time, 30-40 SSJ 100 planes are manufactured per year against 70 aircraft planned 5-7 year ago. In the meantime, the UAC responded that the sanctions "do not have a significant impact on the financial situation" of the corporation, the newspaper wrote.